Here's a whole series of dark and funny commercials for Wilkins Coffee made by Jim Henson during the late 1950s and early 1960s featuring the proto-Muppets Wilkins, who liked the coffee, and Wontkins, who didn't care for it. 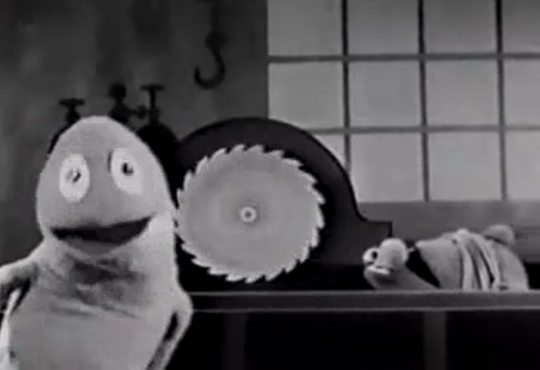 In each of the ten-second commercials, Wilkins does some serious harm to Wontkins, electrocuting him, hitting him with a hammer, stabbing him with a sword, threatening him with a guillotine, or just plain shooting him with a gun. Drink Wilkins Coffee, or else! Read more about the commercials at the Muppet wiki.